Paddywhack performs traditional folk music from Ireland and the British Isles. With more than a dozen instruments and vocal harmonies, Paddywhack offers a stunning variety of musical styles, songs and dance tunes. Original band members Terry Keefe and David Marsh have added female vocalist Jenn Duerr to the band. Their repertoire of songs includes acapella sea shanties, Irish pub sing-alongs, and provocative ballads, rebel songs, jigs and reels. 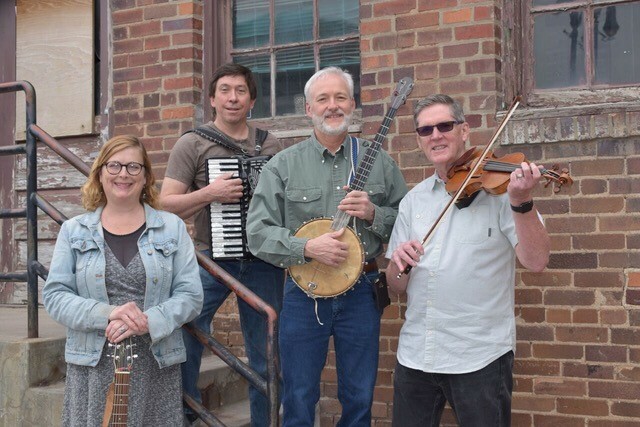 Their extensive list of instruments includes guitar, fiddle, mandolin, banjo, tin whistles, accordions, hammered dulcimers, mandocello, piano, bodhran (Irish drum) and more. So come “laugh, dance and sing” with music inspired by the ancient Celts, Scottish kilts, English coal miners, Irish leprechauns and an evening in an Irish pub, all to the music of Paddywhack.